"After I finished restoring a Lotus Seven I purchased a very rough Lotus Cortina in 1991 and spent 10 years just disassembling it and gathering some of the parts I would need. Then I came to my senses and bought a car that someone paid to have restored, and sold the project-shell to be used as a race car. The new car, purchased in Toronto, Ontario, was very nice but still took almost $2000 in minor fixes and changes to get it right. The photo above with Lotus mechanics Bob Dance and Bob Sparshot posing with the car was taken at the national Lotus meet in St Louis in 2005. 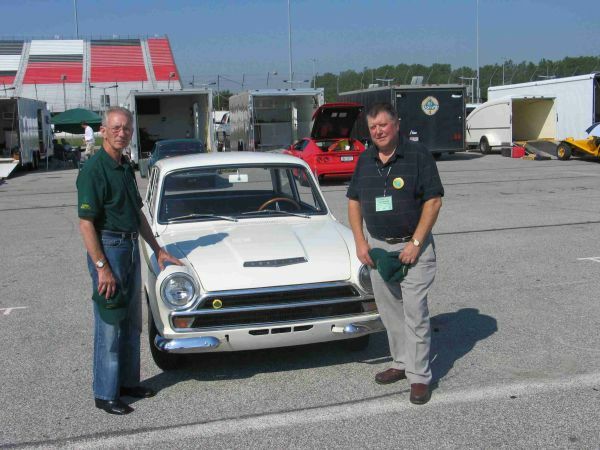 My good friend Gordon Morris drove the car there for us while I drove our Europa. Gordon chauffeured the two Bobs to the track day and they had several suggestions for upgrades to the Cortina." 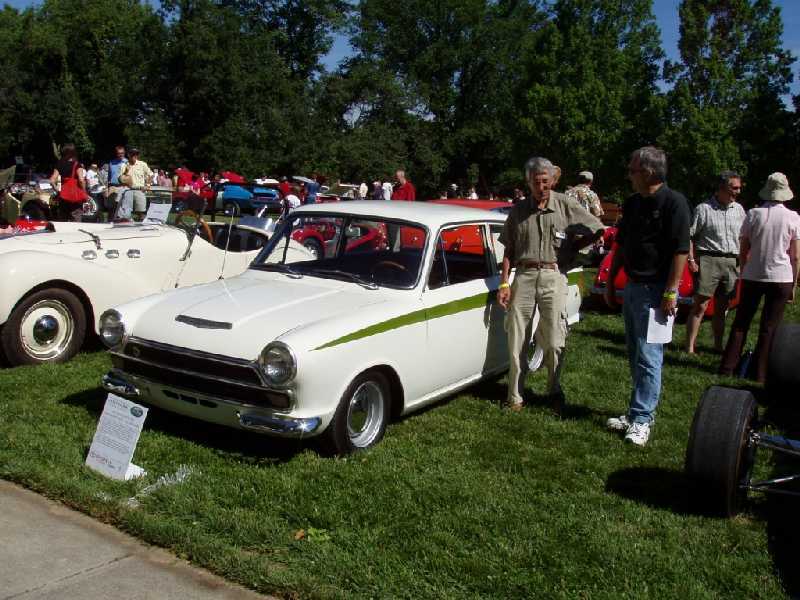 "At Cincinnati's Ault Park Concours, Vic Elford (closest to the car) was looking it over and reminiscing about the Lotus Cortinas he drove on several rallies in the 1960s. We were edged out of the concours competition by an everyday ordinary Lotus 56 Indy Turbine."